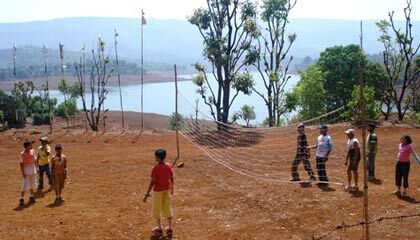 Koyna Backwater Camp is positioned in the serene backdrop of Koyna River. 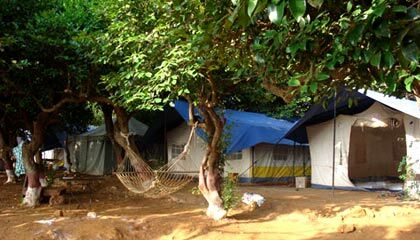 Koyna Backwater Camp is an awesome retreat for nature lovers placed on the splendid backwaters of Koyna dam, one of the largest freshwater lakes of India. 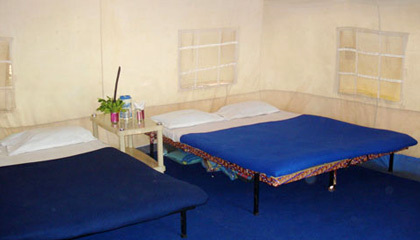 The camp features luxury tents and a well-equipped kitchen with dining area. 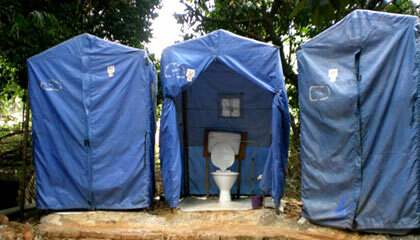 Bathroom tents are separate and have round the clock hot & cold water supply. The guests can indulge in various fun and recreational activities such as windsurfing, kayaking and speed boating in Koyana River. Visiting to the Koyna Wild Life Sanctuary and trekking to the magnificent Vasota Fort and Nageshwar Caves arranged by the camp give a special experience to the tourists. Undoubtedly, Koyna Backwater Camp is an amazing place to enjoy a wonderful refreshing holiday. The camp is comprised of 20 luxury tents having all essential comforts and offering a pleasant stay to the guests. 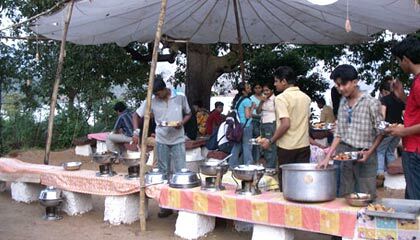 Koyna Backwater Camp features a dining area where freshly prepared delicious meal is served.